A dating website with a name that sounds similar to a Katipunan-based university was launched on November 28, although it does not bear any official affiliation to it. Ateneut, the website, styles itself after two known platforms—Facebook and Tinder. Part of its logo bores a resemblance to the famous dating app while it has functions that enable users to enter chatrooms, plan events and engage in online discussions. Mga ka-ateneut great news!https://t.co/4tYv8vqIvg is now live! Users of Ateneut can generally browse profiles, meet friends and matches while at the same time, enjoy functions similar to Facebook. 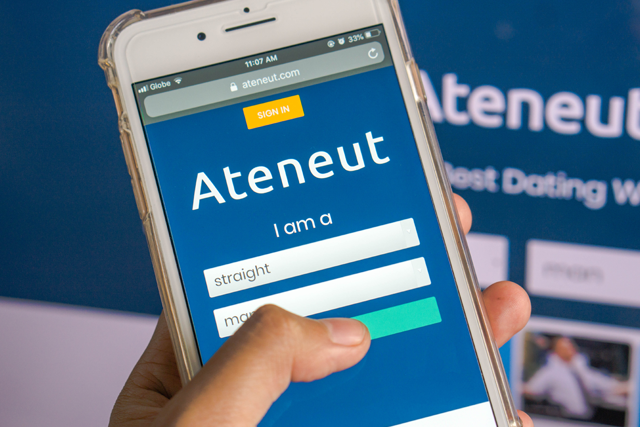 Ateneut does not officially affiliate itself with Ateneo de Manila University, nor is it an official platform created by the school. While its exact developer remains unknown, its Twitter page connects itself to a LinkedIn profile of a certain Harry Christian, a creative designer from Engagis Creatives who is also studying at Xavier University — Ateneo de Cagayan. The app of Ateneut has yet to be launched in Google Play Store and Apple Store as of the moment. Earlier this month, another local dating app was launched. It markets itself to students of the University of the Philippines. It was created by UP students to “build meaningful relationships” with each other. Like Ateneut, it does not officially affiliate with the school. However, the app is exclusively made for students of the state university, where they are required to sign up with their school e-mail address.